1. Log into My Buckeye Link through Buckeye Link. 2. 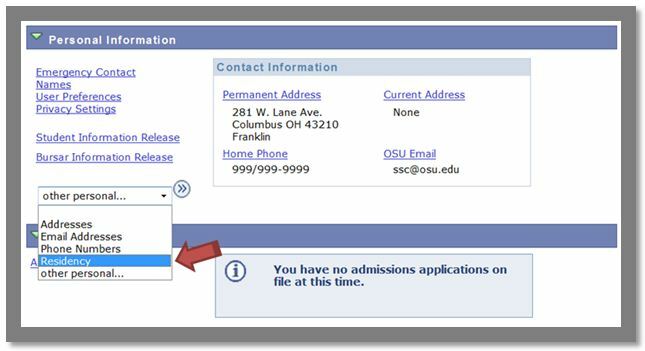 Under Personal Information in your Buckeye Link, click Residency within the drop-down menu. 3. 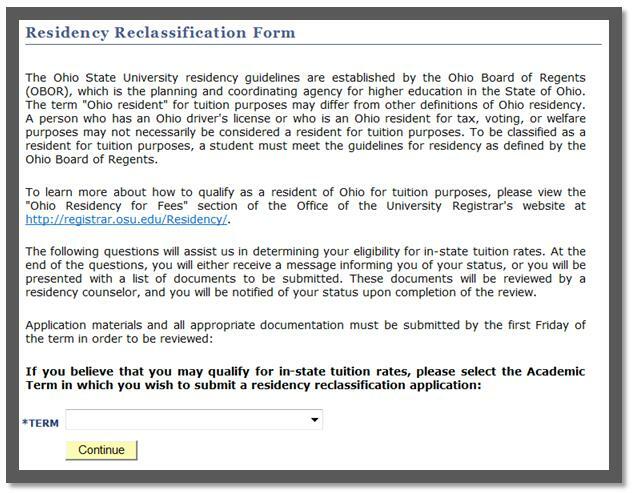 Read the important information on the Residency Reclassification Form. When finished, use the drop-down menu at the bottom of the page to select the Term for which you intend to apply. 4. On the next step of the Residency Reclassification Form, read through the information and update any information, if needed. Once updated, be sure to check the box to affirm that the information on the form is true to the best of your knowledge, and click Continue. 5. At this point, you may be directed to answer a number of questions through the Residency Reclassification Form. Be sure to click Save & Continue after each question. 6. After you have completed the set of questions, you may see a Document List. 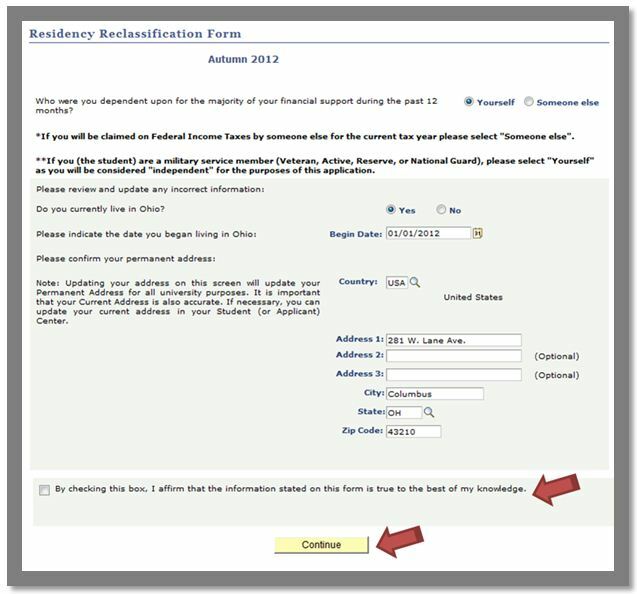 This will be visible if you need to submit documentation prior to the processing of your residency request. 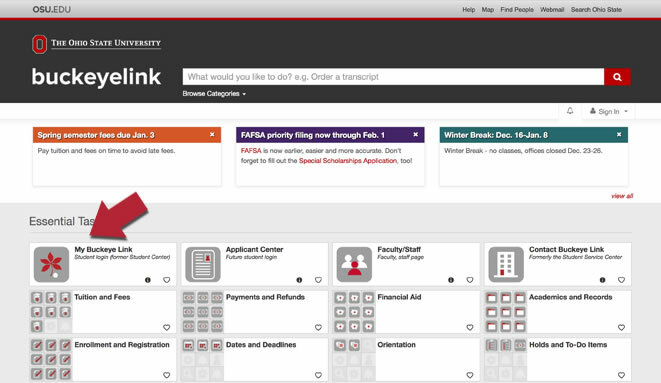 You will be able to review your document list at any time through your Buckeye Link by following steps 1 - 3. This is also the page where you will be able to verify that your documents were received as well as the status of the request.